Airocle’s innovative technology has been incorporated in the G Series louvres design to provide optimum natural airflow to your project whilst offering superior noise reduction. Rigorously scientifically tested for insertion loss and pressure drop, the G Series louvres achieved high acoustic performance in various conditions offering an optimum reduction in surrounding noise level. Highly versatile the G Series louvres are fully customisable with different blade space and depth, providing 21.3% to 46% of free open area depending on ventilation requirements. Aesthetic is also a key component of the G Series design. Blade profiles as well as materials have been combined to achieve optimum appeal and seamlessly blend with existing building structure. Airocle’s G Series of acoustic-oriented wall louvres are ideal for projects requiring excellent noise reduction coupled with natural ventilation. Typical applications for Airocle’s G Series are enclosures for air-conditioning intakes and generators, as well as complete stand-alone plant rooms. For projects, where weather proofing is required, the G Series louvres come in two stage louvres offering maximum protection from wind-driven rain. G Series different profiles and blade depth provide a versatile solution that will accommodate most project requirements. G Series louvres are a natural ventilation option combining sound scientific principles with the power natural forces. The louvres are specifically designed to provide high-performance noise reduction. Airocle’s G Series of acoustic louvres meet all relevant building standards and are environmentally-friendly, promoting a ‘green’ and sustainable future. Airocle’s innovative design principles and superior construction methods mean total energy usage and associated costs are reduced. The use of a natural ventilation scheme such as the G Series provides numerous benefits resulting in better economics for any business or facility. Airocle’s G Series of acoustic oriented louvres are able to be shipped in varying sizes to suit the scope and nature of your project. The G series – both single and two-stage – can be custom-modified to suit your individual requirements. 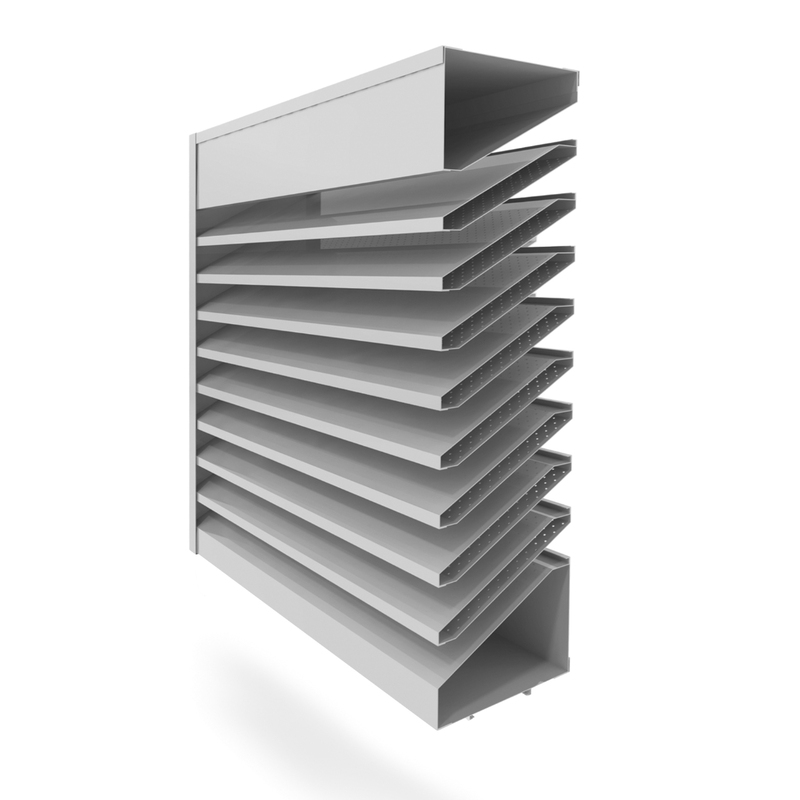 As most of our products, the G Series louvres come in different materials and finished to match your architectural requirements. Additional options including bird mesh, security bar, dust filters and rain sensors can be incorporated. All parts are shipped completely packed-down and are easily installable by qualified tradesmen. G Series acoustic-oriented louvres use efficient design coupled with natural science. This means, once installed, they’re able to operate with virtually no running or maintenance costs, providing long-term operational savings for both the building and the environment. Remember, Airocle’s range of products have a proven track record around the world for efficiency, performance and cost. When considering natural ventilation options it is best to decide on the best solution for your project as early as possible during the design/building process.